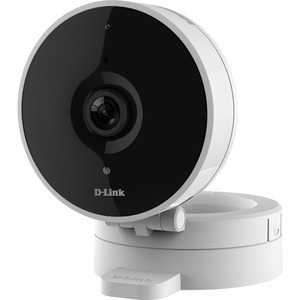 The DCS-8010LH HD Wi-Fi Camera boasts a 120-degree wideangle lens that easily captures your entire room, wall-to-wall, in high definition. You will know what's happening day or night with built in night vision, motion and sound detection sending notifications to the mydlink app. The rotatable head makes discrete installations easy even on ceilings. The DCS-8010LH uses a wide-angle lens and an HD sensor to give you a clear view of an entire room with a single camera. Night-time monitoring is possible with the built-in infrared LEDs which allow for night time viewing of up to 16 feet, enabling round-the-clock monitoring of a home or small office. The special fold-out design makes ceiling, wall, and counter-top installations a breeze and wireless 802.11n keeps cabling to a minimum. 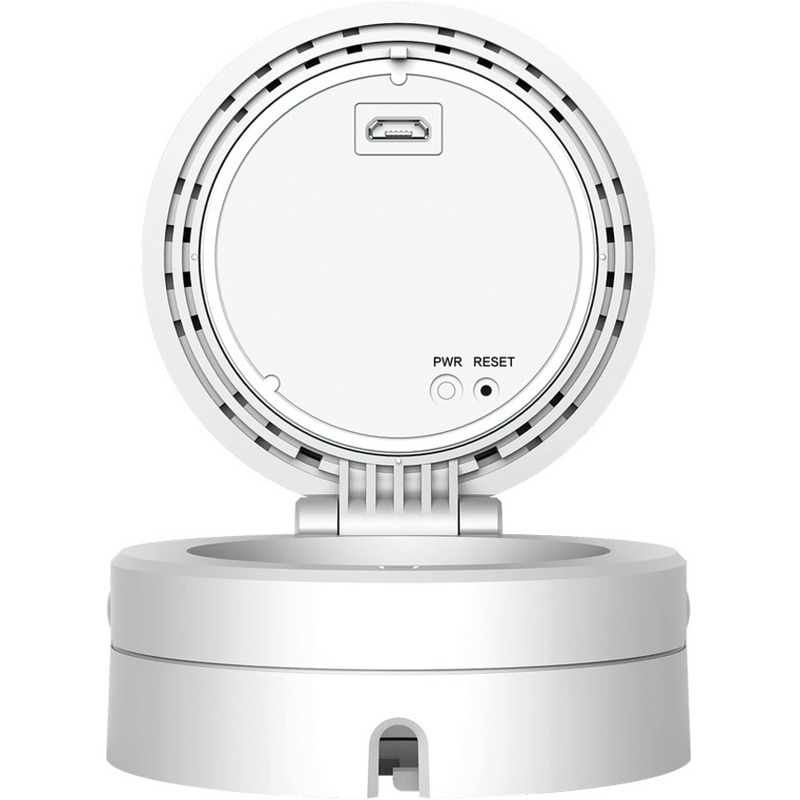 The DCS-8010LH helps you keep watch over the things that are important to you with built-in motion detection that can send push notifications to your mobile phone and automatically record snapshots and video clips to a microSD card or to your cloud account. Sound detection will notify you of loud noises, such as a baby crying or glass breaking, making it ideal for use as a baby monitor or office camera. Now enhanced with the new mydlink® app, the DCS-8010LH makes it easier and more convenient for you to look after your family at home or check in on your office- from anywhere with Internet access. Simply install the app on your mobile device and you'll be able to set up, view, and manage your camera using your tablet or mobile phone. With the mydlink® app, you will always feel protected. 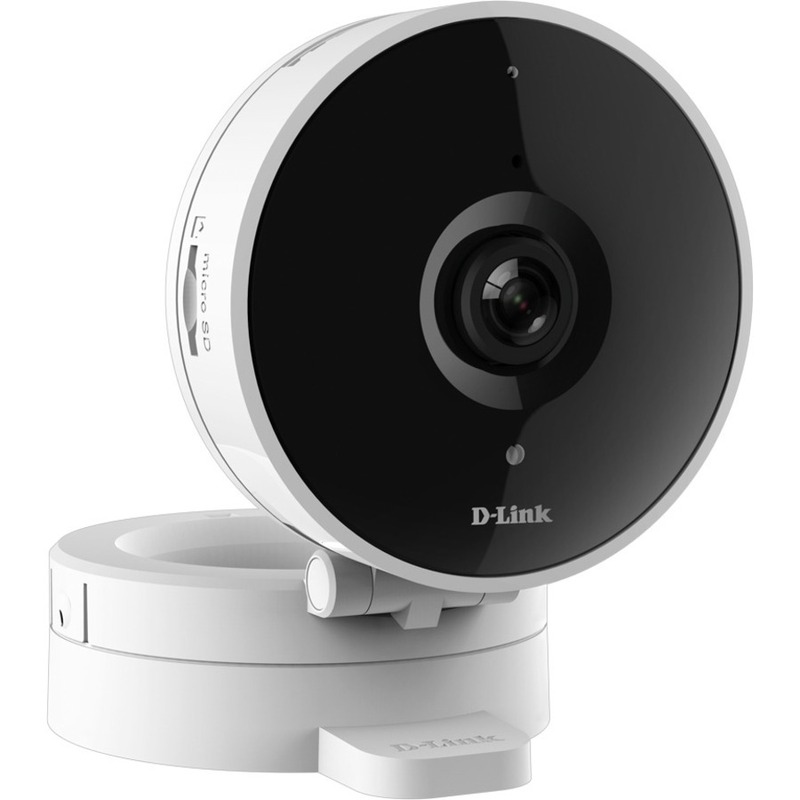 Enhanced with mydlink® cloud recording support, the DCS-8010LH makes it easy and convenient for you to look after your family and check up on your home or office. With a mydlink® cloud recording subscription, you can have peace of mind with your video recordings sent automatically to a cloud server. Play back recordings from the cloud or download video clips to your mobile device from anywhere, anytime through the Internet. Access real-time live views of your cameras using the mydlink® mobile app and set automated schedules via your mobile device, no matter where you are.